James Key received a 25 acre Land Grant located Northwest of Mill Creek adjoining Avington Britt and his own line. Burrell Deaton and Thomas Key were chain carriers. 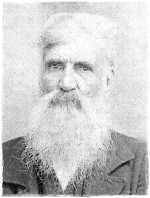 Hiram Deaton received a 100 acre Land Grant located between Mill Creek and Cabin Creek adjoining his own line [formerly David Richardson], Joseph Morgan, John Morgan, James Key, and James Morgan. William T. Morgan and William Dunn were chain carriers. Burrell Deaton received a 100 acre Land Grant located South of Cabin Creek adjoining Merryman Britt, Levi Deaton, Hiram Deaton and James Key. Brittan Britt and John Freeman were chain carriers. Levi Deaton received a 31 acre Land Grant located Southeast of Cabin Creek adjoining own line, James Key and Hiram Deaton. Burrell Deaton and William Deaton were chain carriers. Estate of James Key, dec'd. by John McNeill, Administrator. Items were purchased by Jonathan Richardson, George Morgan, Ashley Parrish, Bellison Keys, and Rhody Britt. Notes were held on the following: Elisha Cole, Alex Kennedy, Joseph Cole, Allen McCaskill and Wm. C. Buie.